Where James Isaac goes, Mahe follows – even into the boy's hospital bed. The 9-year-old Wellington boy is autistic and relies on the black labrador to keep him safe and calm. James cannot speak, and recoils from touch and eye contact with his family. 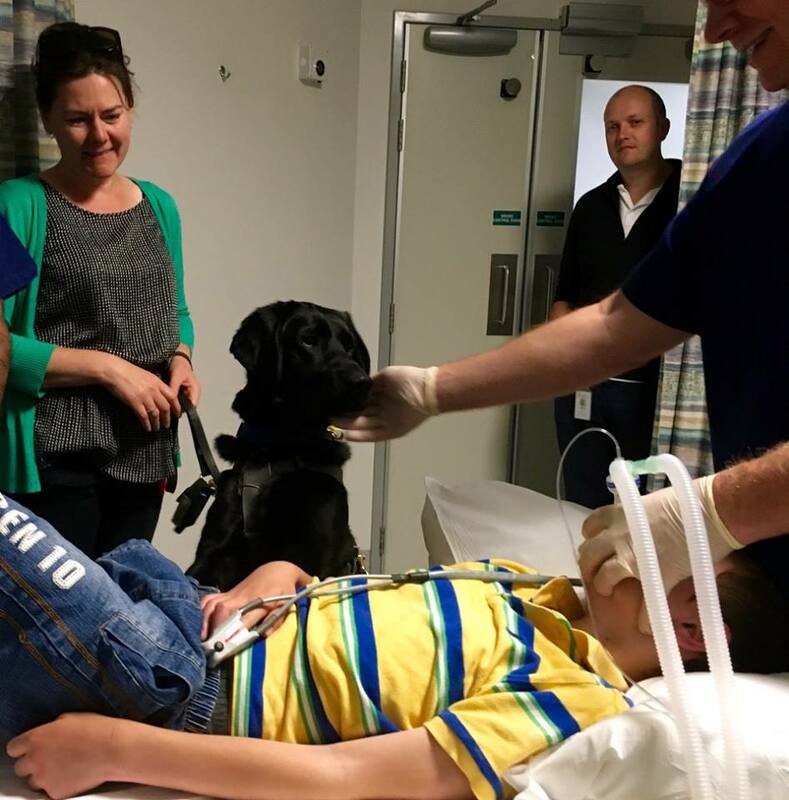 "And for Mahe, James is his best mate, he is all about James," mum Michelle Isaac said.So important is the bond that Mahe was allowed to join James at the Wellington Children's Hospital as he underwent an MRI scan to diagnose the cause of his seizures. 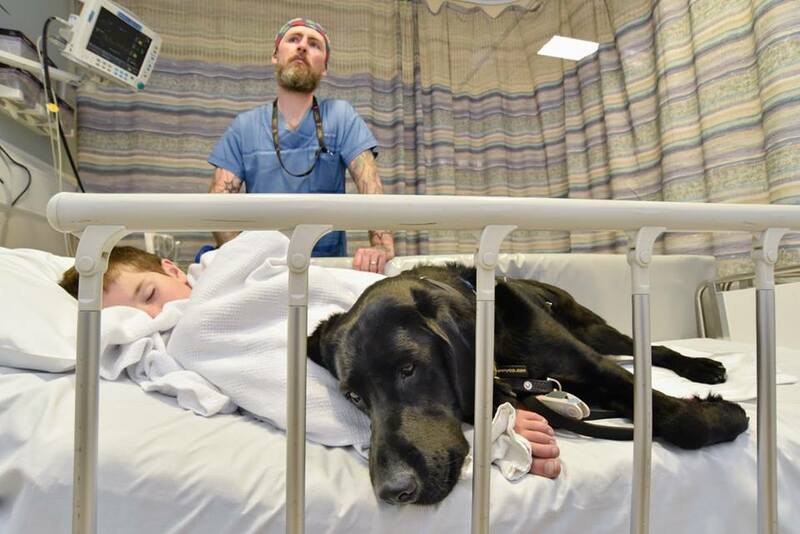 As he went under general anaesthetic, Mahe watched with concern, nuzzling his master's face. "He was just looking at James, and looking really worried." As Michelle waited in the hospital cafe for the scan to end, Mahe sat beside her, calming the mother as he had calmed the son. "I was really shaken, it was pretty stressful watching James struggle." Life for the Isaac family has improve immensely since Mahe came into their lives, 2½ years ago.Michelle said going out into public with James used to be nightmare. He was likely to run off and lose the plot in any unfamiliar or over-stimulating involvement. "We couldn't even go to a cafe as a family. James would get very anxious and want to leave immediately. But when we got Mahe, James would just sit there waiting for us to finish our coffee." Mahe's presence not only calms James, but keeps him safe. Out and about, he is attached to Mahe on a tether. If he strays too far, or starts running towards a busy road, Mahe sits down and won't budge. The Assistance Dogs New Zealand Trust trained Mahe for six months from a puppy to help children with autism. The trust trains puppies to help people with a range of disabilities, from autism to diabetes to cerebral palsy. 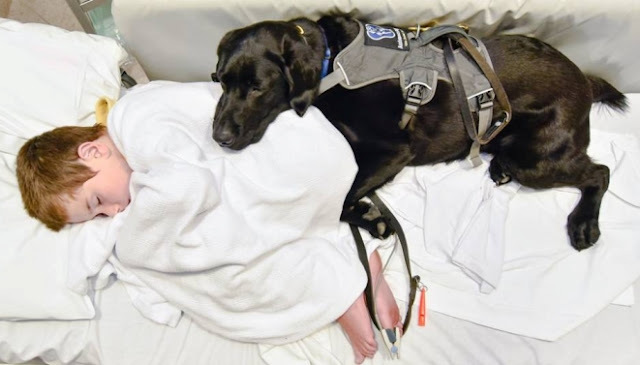 The dogs can be taught to distract their owners, warn other family members of an impending medical event, or track down missing people and objects. 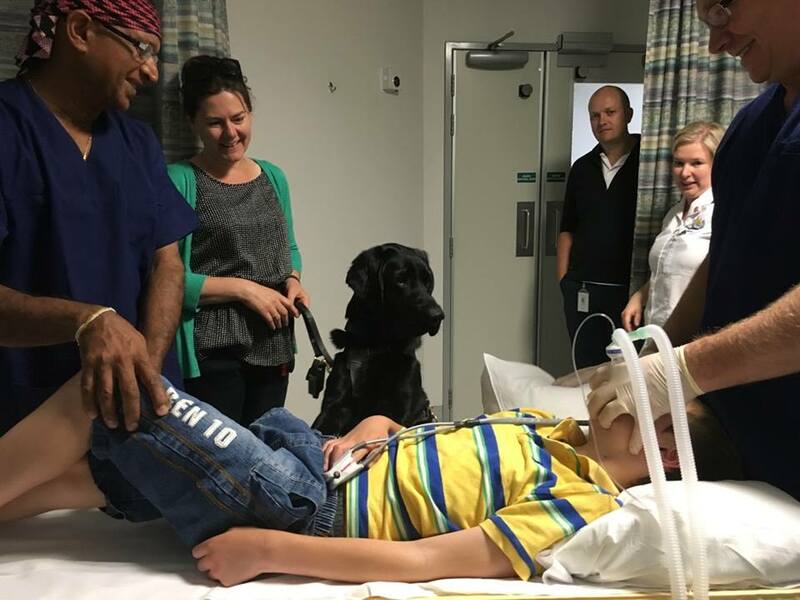 Wendy Isaacs, the trust's funding development manager, said Mahe had been picked for autism training because of his calm demeanour. 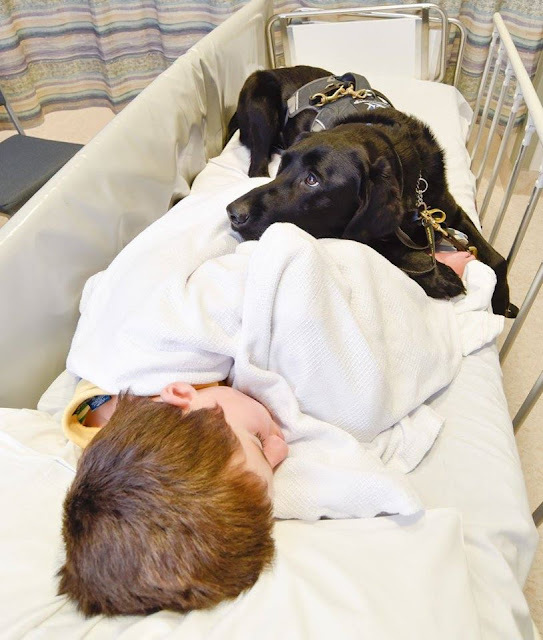 "There is such a magic that happens between a child with autism and the dogs, they just calm the kids down. 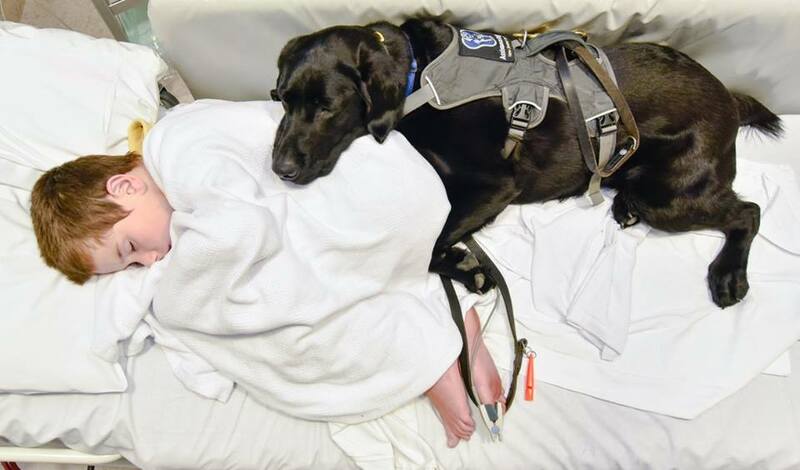 The kids will maintain eye contact with the dog, but often not with their own parents and siblings." 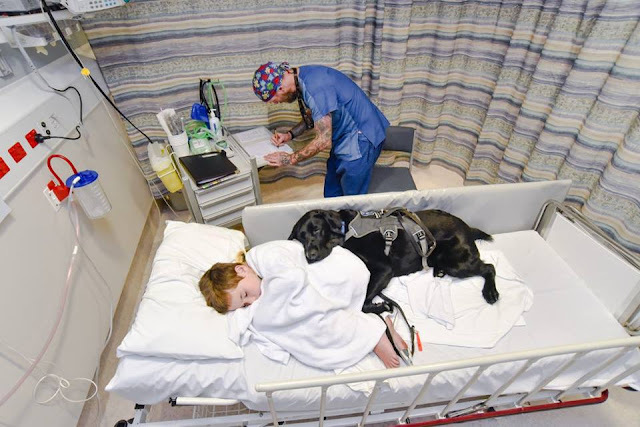 If James' seizures persisted, Mahe could also be trained to pick up on early warning sign and whine or bark to alert his parents, she said. 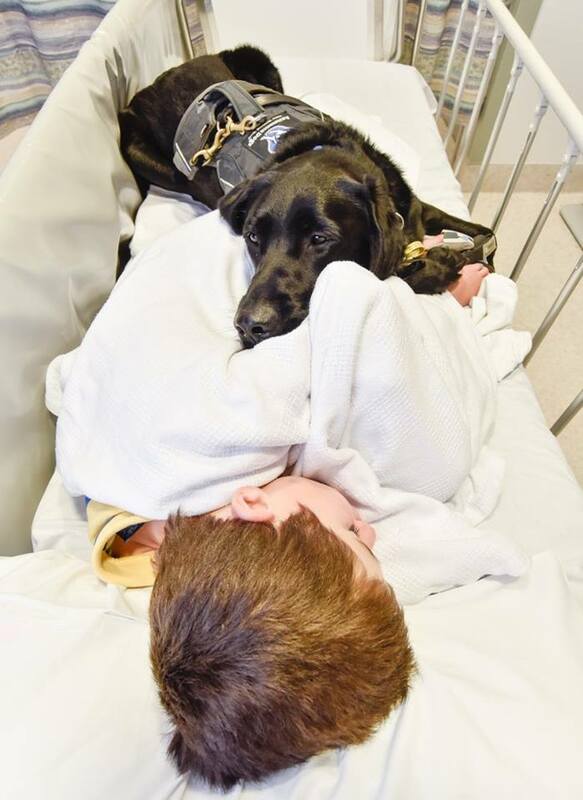 Responses to "Mahe, the autism assistant dog, never leaves his friend 's side, even in hospital"